On the seafront in Margate, Kent, stands a pub. It is a Wetherspoon's pub. It is not one of Wetherspoon's better pubs. Whereas the company is known for renovating locally notable buildings while retaining a unique sense of character (alongside the corporate conformity, of course), this pub was originally a Victorian building which then served as a large amusement arcade until the late 1990s. As a result, there was comparatively little to 'restore' in 2001, and so it's a modern establishment with little-to-no period detailing, complete with the ambience which is to be found in many (although not all) of the chain's hostelries. The pub is called The Mechanical Elephant. The Mechanical Elephant is named after an oddity from the mid 20th century on Margate seafront. Serving as a ride-on attraction for holidaymakers and daytrippers, an engineered exo-frame housed an engine/pulley system at the the 1:1 scale of a full-sized elephant. This modern marvel was a great novelty, a fun way to spend disposable income providing the customers didn't think about its macabre origins. An automated facsimile of life, lumbering, repetitive and incapable of genuine emotion. Although it strikes a discordant note, in many ways The Mechanical Elephant is an ideal name for the pub. 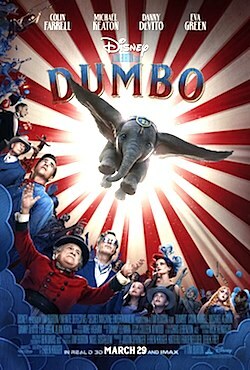 And in many of those same ways, The Mechanical Elephant is an ideal tagline for Disney's live-action remake of their animated classic, Dumbo. Expanding on the original tale, our film opens in the aftermath of the First World War, with horse wrangler Holt Farrier (Colin Farrell) returning to his travelling home to greet his young daughter Milly (Niko Parker) and son Joe (Finley Hobbins) having lost an arm in the conflict and missing the death of his wife while away. The circus, meanwhile, is in steady decline under the auspices of Max Medici (Danny DeVito), a questionable businessman failing to adjust to changing times. When Max buys a pregnant elephant to inject a bit of tropical variety into the performances, everyone is stunned to discover the baby can actually fly using its outsized ears. Success seems assured. Word of the novelty quickly spreads, notably to disreputable entrepreneur and next-level showman V.A. Vandevere (Michael Keaton). He's determined to make his own money off the back of the pachyderm in his 'Dreamland' theme park*1, along with his leading acrobat and confidant, Colette Marchant (Eva Green). Short version: Circus down on luck, elephant flies, bad man thinks 'I'll have a bit of that', drama, salvation, end. All of that isn't new. However, you will believe an elephant can fly. And still somehow find it quite boring. It's difficult to know what's gone wrong other than a general lack of effort all round. Danny DeVito is playing this like it's a script read-through, while Colin Farrell is as lost as that wandering accent of his. Michael Keaton and Eva Green are seasoned scenery-chewers of course, but even they've lost their appetite for deconstruction. And it's a dark day in any casting office when Alan Arkin is hired to play Bellowing Alan Arkin™*2. The story drags its feet considering what a straightforward pantomime the whole thing is, and pretty much all characterisation is telegraphed to the point where there are no twists, corners or even curves down the line. 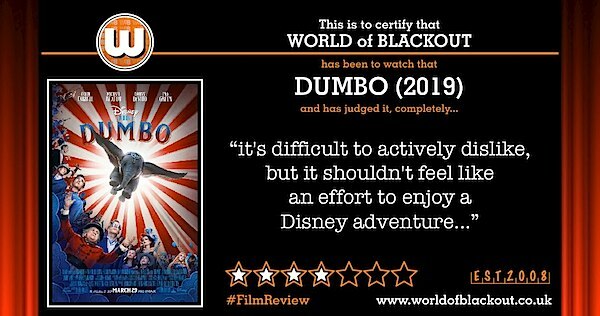 But crucially, there should be an absolute joy in watching an infantilised, anthropomorphic elephant taking to the air in a moment of theatrical danger; instead the spectacle is oddly perfunctory. There's no sense of achievement when Dumbo flies, and the framing feels wrong throughout. We're not in the audience taking in the wonder, but we're not in the air sharing his joy, either*3, we're just 'there' - zipping around from cut to cut without a proper chance to see what's happening. And the sporadic 'Dumbo-cam' which gives us a fleeting phant's-eye view of the aerial world is weird, distracting and completely unnecessary, probably the reason it disappears by the third act. And it all comes down to TIm Burton. He could ride out that level of gee-whizzery back in the day when he was selling pencil cases to emo kids, but this mainstream shtick plays like a cheap parody of jaded Americana. It's not even like this is textbook-Burton where we can shrug at having seen big eyes, stripy fabric and soaring crane-shots done before. All of those are present, but it really feels like Tim's just not interested here. But Dumbo himself is great. There's just not enough Dumbo for a film which is called Dumbo. And ultimately, why make a 'live-action' film when the only endearingly human aspects come from the CGI elephant? 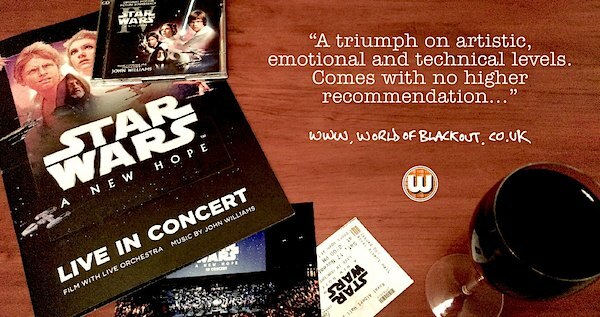 The film is difficult to actively dislike, but it shouldn't feel like an effort to enjoy a Disney adventure. It's closer to Tomorrowland than Batman Returns, but has heavy-handed elements of both. If you're going to watch it at all, watch it big I guess. It's decent Sunday-afternoon fodder, so yeah. Level 1: That engineer from off of Rogue One is in this.